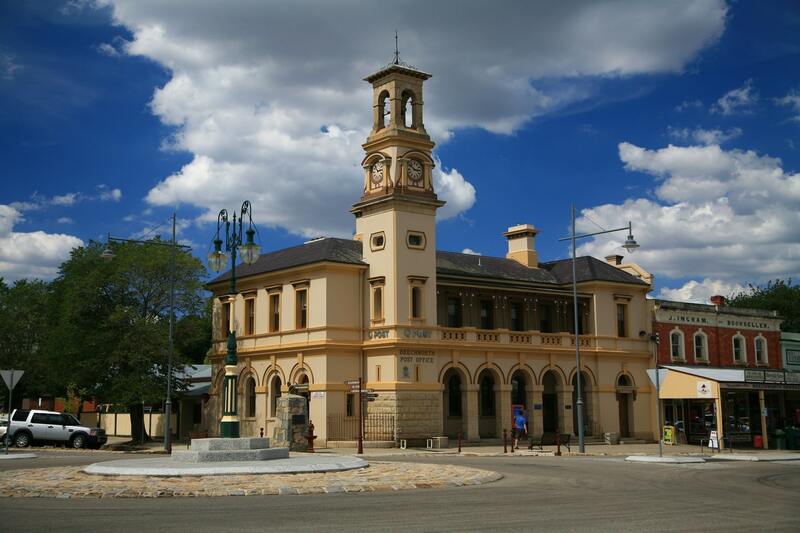 This walk takes you to some of the most historic sites in Beechworth. Wander through the historic town of Beechworth, down to the Hospital Façade, onto Billson Brewery which houses the Carriage Museum, over Ford Street and into Queen Victoria Park with toilets BBQs, an adventure playground and a big granite rock to climb around. Over spring creek and into the Lake Sambell Reserve which was a gold mine in the past. Sandy Beach has toilets, BBQs an adventure playground and a swimming area. Walk into the Chinese Gardens under the bridge to the signage with information on the Rocky Mountain Tunnel. Walking up the path to Albert Road and back into town.